Most of what you consider to be “wrong” with your life can be traced back to how you think and what you have experienced in your life. Have you ever noticed that you are not bothered by something from the past until you think about it or experience something similar again? This is because bringing to mind an upsetting incident triggers an emotional response that creates neurological changes. Your thoughts affect everything in your body—right down to the cellular level. None of us are exempt. We are all human and most of us deal with emotions and stress by stuffing it and stuffing it until it has no where else to go and must “show” itself – leaking all over your present life. These emotions and blockages often manifest as stress, fears, pain and even illness. Energy Therapies address what is known as “disruptions in the energy” that runs through and around your body. They can reduce anxiety, distress, the memory of a trauma and more often than not allow clients to find immediate and permanent relief. 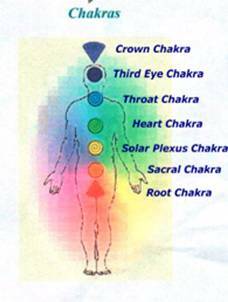 I utilize many energy healing techniques in my practice. Together, we will decide what approach is best for your problem — often it is a combination of a number of methods. Call today to set up an appointment for your free 15-minute phone consultation. If you are ready to take responsibility for your life, your emotions and your self-care, I would be honored to assist you on your healing journey.